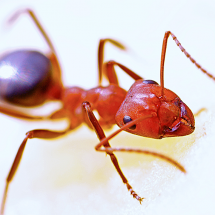 Richmond Pest Control’s technicians are EPA and NJ DEP licensed and certified and have years of experience exterminating rodents, pests and insects of all varieties. Our professional extermination services company is based in Brigantine, New Jersey & serves the surrounding areas of Atlantic City, NJ, Cape May & Atlantic counties. 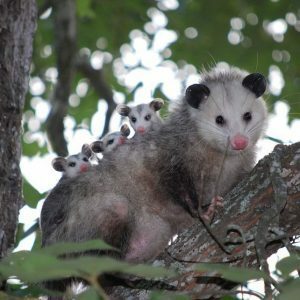 We will rid your home or business of pesky, bothersome and downright disgusting insects and rodents quickly and safely. 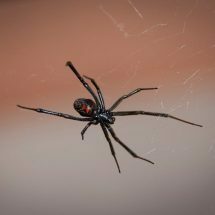 Our family-owned and operated professional extermination services business utilizes the Integrated Pest Management method, or IPM. 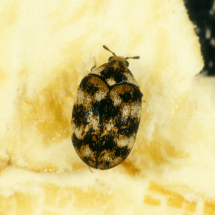 The IPM Method will first identify the pest that needs to be eliminated to ensure only necessary actions are taken. Next, the pest-ridden area(s) are inspected for conditions that may be causing the infestation; this will help us set up the necessary steps you must take once treatment is done to prevent another invasion down the road. Lastly, an effective comprehensive course of action is determined and fully explained to you before any work is done. A thorough understanding of the treatment process and the steps you should take when we leave is vital to ensuring effective and long lasting results. 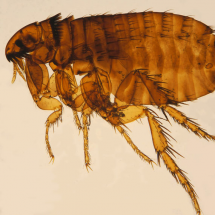 Fleas: Fleas are wingless insects that are agile, usually dark colored with tube-like mouth-parts adapted to feeding on the blood of their hosts. 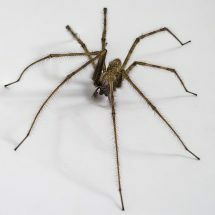 Their legs are long, the hind pair well adapted for jumping. 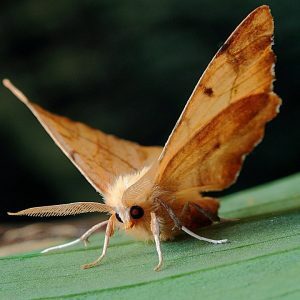 Their bodies are laterally compressed, permitting easy movement through the hairs or feathers on the host’s body. The flea body is hard, polished, and covered with many hairs and short spines directed backward, which also assist its movements on the host. 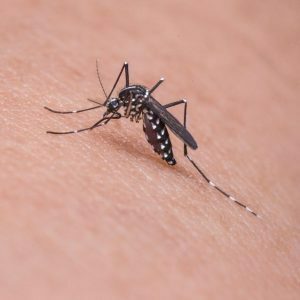 The tough body is able to withstand great pressure, and the quick reproduction method of these pests make them extremely hard to rid once they’ve entered your home. 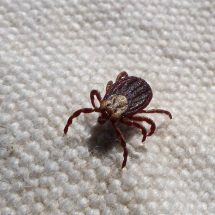 Call professional extermination services at the first sign of fleas in your home. Termites: Termite damage costs homeowners in the United States millions of dollars in property damage each year. While their primary food source is wood, they also eat through paper, books, insulation, swimming pool liners and filtration systems. Besides structural damage to your home or building, termites can injure living trees and shrubs. While buildings may become infested at any time, termites are of particular importance when buying or selling a home since a termite inspection/infestation report is normally a condition of sale. Besides the monetary impact, thousands of winged termites emerging inside one’s home are an emotionally trying experience — not to mention the thought of termites silently feasting on one’s largest investment. If you believe you have a termite problem, it is imperative to call out professional extermination services immediately so we can eliminate the problem before it costs you your hard-earned money. 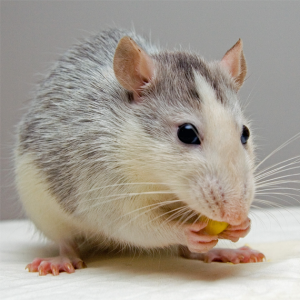 Rats: Known to travel in packs and cause enormous damage to homes due to their gnawing and nest making. If a rat finds its way into your home, it will begin to gnaw on the integral parts of your foundation in order to maintain the short length of its two incisors. It will also begin to find ways into your home in search of food sources. 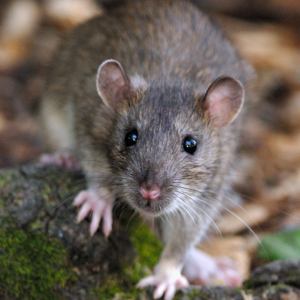 If you suspect you have rats living in your home, call Richmond Pest Control to come out, bait and remove the entire nest. 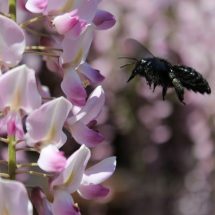 Bees: Although a beneficial insect to our planet, bees are considered a pest because of their ability to sting. 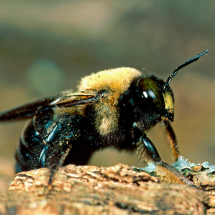 Bees live in colonies ruled by queens and maintained by worker bees that defend their nest at all costs. 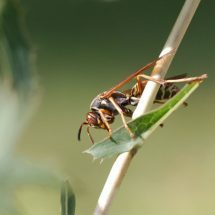 We use safe and humane methods to control and/or remove bees form your property if they become a nuisance. Since they will sting if threatened, it is important to call our professional service and not try to handle the situation on your own. 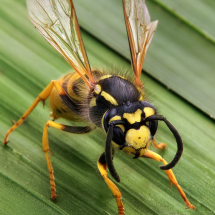 Yellow Jacket: Yellow Jacket is the common name in North America for predatory wasps of the genera Vespula and Dolichovespula. Most of these are black and yellow; some are black and white, others may have the abdomen background color red instead of black. 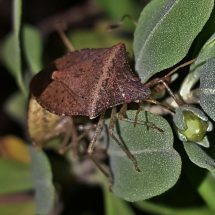 They can be identified by their distinctive markings, their occurrence only in colonies, and a characteristic, rapid, side to side flight pattern prior to landing. All females are capable of stinging and should be avoided at all costs. 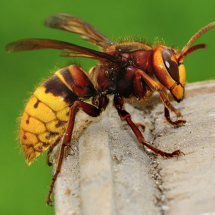 If you have a yellow jacket nest on your property, call our professional extermination services company immediately to properly handle and remove these dangerous insects. Silverfish: Silverfish are nocturnal inspects and hide during the day, coming out at night to seek food and water. 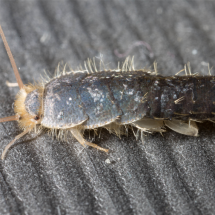 The silverfish prefers dry food such as cereals, flour, pasta, and pet food; paper with glue or paste; wallpaper; book bindings; and starch in clothing. 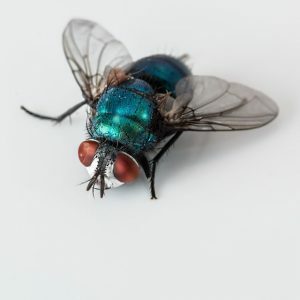 Household dust and debris, dead insects, and certain fungi also are important sources of food, so it is important to keep your home clean and tidy to avoid these creepy-crawlers. However, they can live for several months without nourishment. Pillbugs: Pillbugs are scavengers and feed mainly on decaying organic matter. 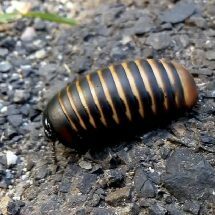 Pillbugs thrive only in areas of high moisture, and tend to remain hidden under objects during the day. Around buildings they are common under mulch, compost, boards, stones, flower pots, and other items resting on damp ground. Another frequent hiding place is behind the grass edge adjoining sidewalks and foundations. 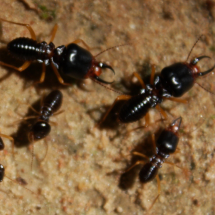 While they pose no real threat, if you start to see pillbugs reproducing at a rapid rate, call Richmond Pest Control’s professional extermination services so we can assess the situation and give you some tips to eliminate these pests. 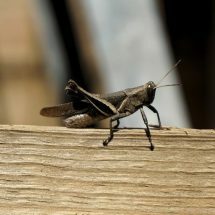 Richmond Pest Control safely and effectively exterminates all of the above insects, pests and rodents from residential and commercial properties throughout Cape May County, NJ and Atlantic County, NJ. 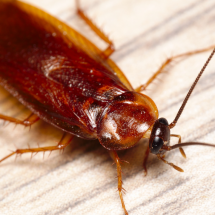 If your residential or commercial building is infested with any kind of pest, call Richmond Pest Control for professional extermination services immediately. All pest extermination services are treated differently and utilize industry-standard, safe and effective methods. For instance, for rodents and large wildlife animals we humanely bait & trap the pests, then relocate them to a more conducive environment. 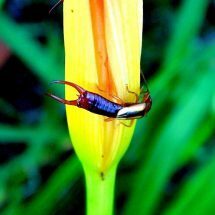 Several different methods are used for insects ranging from poisoned bait to fumigation. 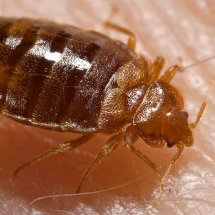 For bed bugs, Richmond Pest Control utilizes 2 extermination and treatment methods: Steam Vapor and Chemical Treatment. Throughout our years in the industry, we have found these to be the most effective measures to removing, treating and preventing further bed bug problems in your home, office or business. 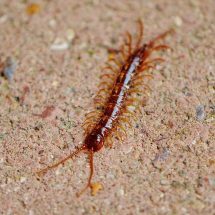 Contact our professional extermination services company to handle all pest infestation treatments quickly and effectively.